T-Mobile also took the launch announcement as a chance to poke fun at its rivals. Nokia unveiled its ReefShark 5G chipsets for radio frequency (RF) units such as the radio used in antennas. The chipsets, which were developed in-house, significantly improve radio performance resulting in halving the size of massive MIMO antennas. 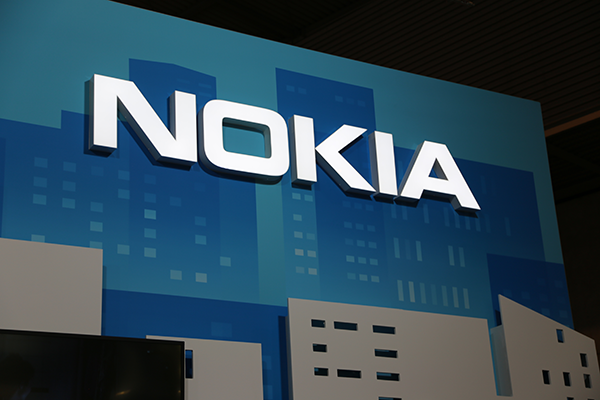 Nokia says its ReefShark chipsets also reduce power consumption in baseband units by 64%, compared to current technology. The ReefShark chipsets for compute capacity are delivered as plug-in units for the commercially available Nokia AirScale baseband module. The new plug-in units triple throughput from 28 Gbps today to up to 84 Gbps per module. Additionally, AirScale baseband module chaining supports base station throughputs of up to 6 terabits per second. Nokia said this level of performance will allow operators to meet the huge growing densification demands and support the massive enhanced mobile broadband needs of people and devices in megacities. Two industry organizations are combining their efforts to drive innovation in radio access networks. The xRAN Forum will merge with the C-RAN Alliance to form the ORAN Alliance, which is backed by AT&T, China Mobile, Deutsche Telekom, NTT DOCOMO, and Orange. "Our industry is approaching an inflection point, where increasing infrastructure virtualization will combine with embedded intelligence to deliver more agile services and advanced capabilities to our customers. The xRAN Forum has been at the forefront of defining the next generation RAN architecture for this transformation," said Andre Fuetsch, CTO and President AT&T Labs. 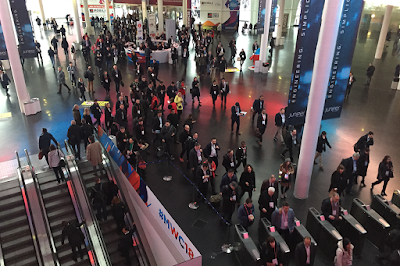 "This is a global change that will impact all network operators. It will be accelerated by the merger of the xRAN Forum and the C-RAN Alliance into the ORAN Alliance, which promises to be a strong global forum." Telefónica is introducing 4.5G Evolution technologies from Huawei, 4x4 MIMO, 3x Carrier Aggregation (CA), 256-QAM and CloudAIR (Huawei’s proprietary technology), into its international networks. The first deployments are happening in Bogotá (Colombia), Monterrey (Mexico) and Rio de Janeiro (Brazil). After several months assessment in these cities, Telefónica will consider additional rollouts. Telefónica Deutschland and Huawei have implemented in Germany a 4.5G high-speed mobile radio network as part of their joint TechCity project, which achieves data rates of up to 1.65 Gbps under laboratory conditions. For the field tests, the two companies have set up a 4.5G pilot network in Munich. Edward Deng, President of Telefónica Global Account of Huawei, said “4.5G Evolution helps Telefónica enhance its businesses by introducing 5G technologies into existing LTE networks. The 5G-like services and the new business models that 5G will support can be quickly launched and developed”. 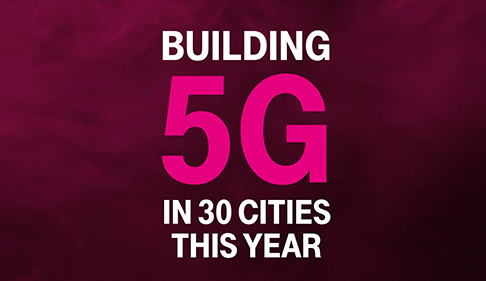 Deutsche Telekom, Intel and Huawei have completed 5G interoperability and development testing (IODT) based on the 3GPP R15 Standard with a commercial base station in an operator lab environment. 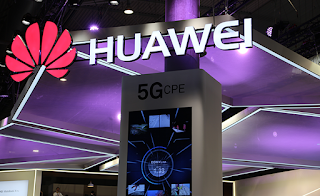 The test, which was carried out in Bonn, Germany, used Huawei's 5G commercial base station and Intel's third generation 5G NR Mobile Trial Platform (MTP). The testing included synchronization, coding, frame structure, and numerology components underlying the interconnection of the NR-compliant terminal and network. The configuration was based on the largest C-band cell bandwidth defined by the 5G NR standard. It also incorporates the latest Massive MIMO multi-antenna and beamforming technology enabled by the standard framework.The companies have also verified 5G NR interoperability in Huawei’s Shanghai labs. 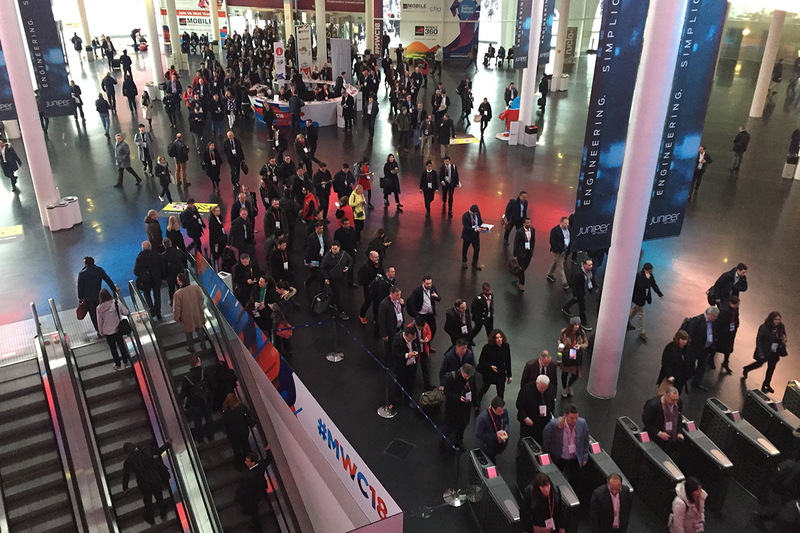 At Mobile World Congress, ECI is presenting its dynamic, intelligent connectivity fabric for 5G networks. At the core of ECI’s solution is its newly launched Elastic Services Platform, which consists of its: Apollo Optical family, Neptune Packet-Optical family and Mercury NFV-based solutions. ECI has developed an open, modular SDN software suite for eal-time network control and optimization of service delivery. Scalable Transport – provides the basis for a highly dynamic, distributed 5G architecture. ECI’s Neptune and Apollo product lines deliver scalable transport for RAN to Core connectivity, offering an optimized feature set for mobile backhaul. The solution is also environmentally hardened. Adaptive Network Slicing – ECI’s Elastic Services Platform creates and supervises end-to-end network slicing, enabling dynamic latency adaptation and policy-driven bandwidth assignment for ultra-high bandwidth and low latency services, so slices can be customized according to required network performance metrics. Assured Service Delivery – ECI’s Muse software suite enables a simple and intuitive way to define, profile, monitor and enforce SLAs to ensure current and future 5G services e.g. autonomous cars, are optimized, always on and running at peak efficiency. Integrating (MEC) Multi-Access Edge Computing – ECI’s Mercury NFV-based solutions, operators can simply and easily add compute power, speed or capacity while preparing for 5G. 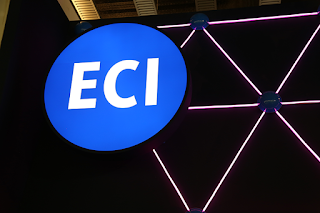 Open Architecture – ECI's ELASTIC network strategy promotes and supports open APIs, interfaces and SDN controllability to ensure full functionality in multi-vendor environments. 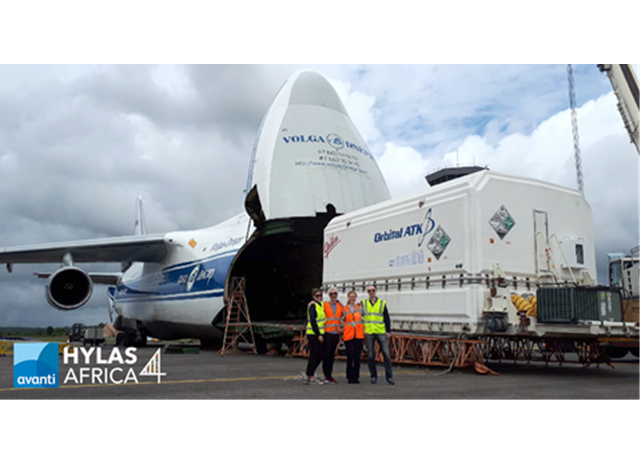 Avanti Communications confirmed that its HYLAS 4 satellite has arrived safely in French Guiana ahead of a scheduled launch in March. The spacecraft was built by Orbital ATK. Samsung is ready to ship its Galaxy S9 and Galaxy S9+ smartphones in March in global volumes. The new flagships boast an improved camera with a dual aperture lens for low light, Super Slow-mo video capabilities, and personalized AR Emoji. As the units are now ready, network connectivity remains pretty much unchanged, with no 5G in this generation. However, Samsung is introducing a SmartThings App with S9 and Galaxy S9+ that will connect to other Samsung and non-Samsung devices to serve as a connected hub for Smart Homes. Regarding security, the new phones are protected by Knox 3.1, Samsung’s latest defense-grade security platform, as well as three different biometric authentication options – iris, fingerprint, and facial recognition. A new verification mode can combine iris scanning and facial recognition technology to quickly unlock a user’s phone. The nascent Citizen Broadband Radio Service (CBRS) market opportunities are expected to grow 10-fold between 2018 and 2022 with total RAN investments approaching $1 billion, according to a new report from Dell'Oro Group. 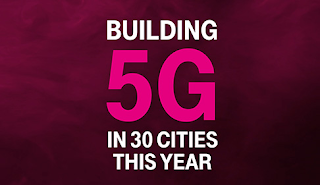 “One of the more compelling propositions relating to the CBRS band is that it lowers the barrier to entry and provides opportunities for a wide range of participants to operate a public or private LTE network — or eventually even a 5G network — at a fraction of the cost of operating a typical network, utilizing licensed spectrum,” said Stefan Pongratz, Senior Director at Dell’Oro Group. “Taking into consideration both the enormous market opportunity with CBRS and the long list of caveats that could curtail the impact in the near-term, we expect activity to accelerate rapidly between 2018 and 2022 to support a wide range of participants to operate a public or private LTE network,” explained Pongratz. A new Seamless Air Alliance has been formed with the goal of providing better in-flight connectivity for passengers across airlines and irrespective of routes. Mobile operators would be able to extend seamless connectivity to their customers while in flight. Key members of the alliance include Airbus, Delta, OneWeb, Sprint, and Bharti Airtel. Low-latency, high-bandwidth in-flight connectivity will be delivered via OneWeb's forthcoming constellation of Low Earth Orbit (LEO) satellites. The partners expect to be able to lower costs as well. The alliance aims to streamline system integration and certification, providing open specifications for interoperability, increasing accessibility for passengers, and enabling simple and integrated billing. "What if the best internet you ever experienced was in the air? Keeping this goal in mind, together, we will enable an affordable and frictionless experience for passengers everywhere," said Greg Wyler, Founder and Executive Chairman of OneWeb. "With the launch of our first production satellites set for later this year, we're one step closer to bridging the global Digital Divide on land and in the air." "Easy-to-use, high-speed connectivity is part of the next revolution in aerospace," said Marc Fontaine, Airbus Digital Transformation Officer. "We're excited to create this seamless experience for our airline customers and their passengers. As we showed with our Skywise aviation data platform, Airbus is committed to innovation that creates value across the aviation industry." OneWeb has previously disclosed $500 million in finding from Airbus, Bharti Enterprises, Hughes Network Systems, (Hughes), a subsidiary of EchoStar Corp., Intelsat, Qualcomm, The Coca-Cola Company, Totalplay, a Grupo Salinas Company, owned by Ricardo B. Salinas, and Richard Branson's Virgin Group. OneWeb aims to launch a constellation of 648 small, low Earth orbit (LEO) satellites to provide global broadband and mobile telephone services. The system promises to bring more than 10 Tbps of new capacity.